YMCA Camp Copneconic has been in existence since 1915 and has been impacting lives ever since. Copneconic rests on 700 acres in mid-Michigan which provides guests the chance to experience the beautiful property and phenomenal people. Serving over 25,000 people each year, Copneconic has a great reputation of providing outstanding programs and creating memories that last for a life time. 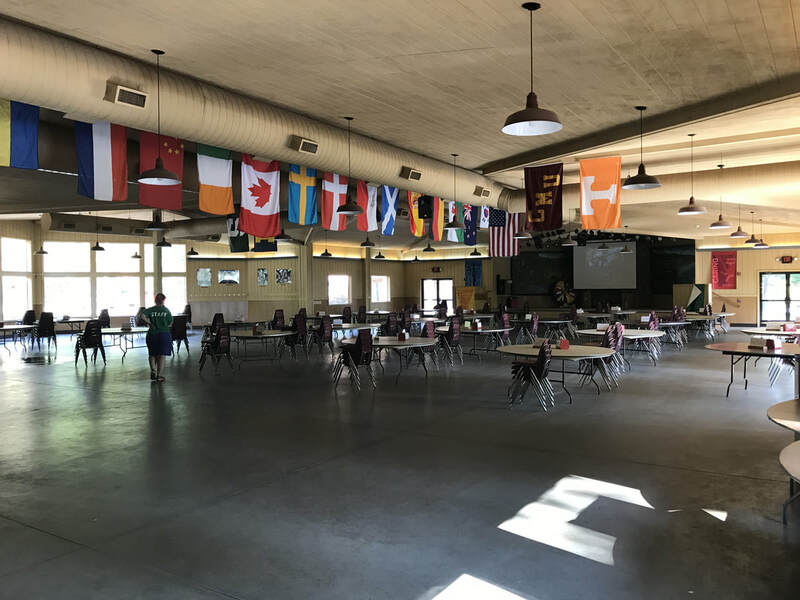 With this type of seasoned staff and facility, we feel the next 2 MACCs held at YMCA Camp Copneconic will be a rewarding and unparalleled experience for all involved. The staff at Copneconic cannot wait to welcome everyone with a huge smile and open arms. 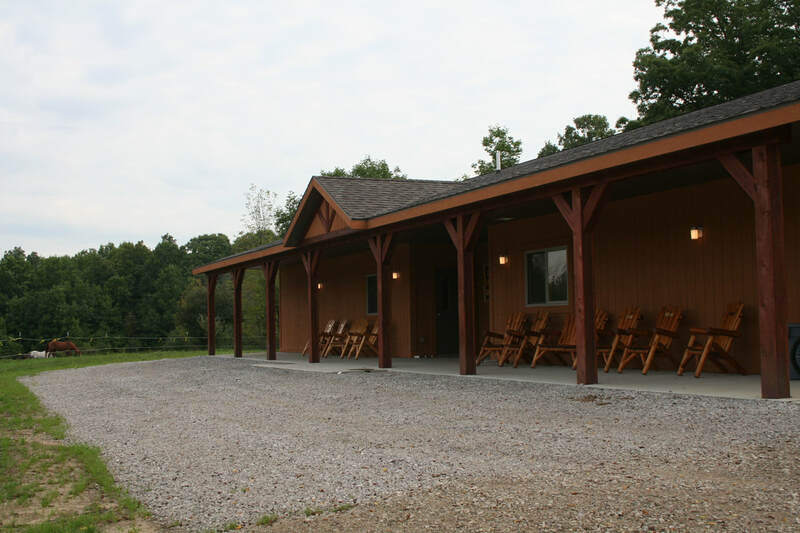 The lodges at Camp Copneconic will make you feel right at home. With cabins this cozy, it will make you want to stay an extra day! YMCA Camp Copneconic's lodging options offer a classic cabin feel with modernized living accommodations. Each cabin is set up with a communal living space featuring bunk beds creating an inviting atmosphere, encouraging guests to relax and connect with their cabinmates. Each cabin comes with a heating and cooling system to provide comfort in any season. Bathroom and shower facilities are fully accessible and are located right in the cabins. Nestled into the scenic woodlands or overlooking Lake Copneconic, the cabins and lodges will keep you warm and cozy. 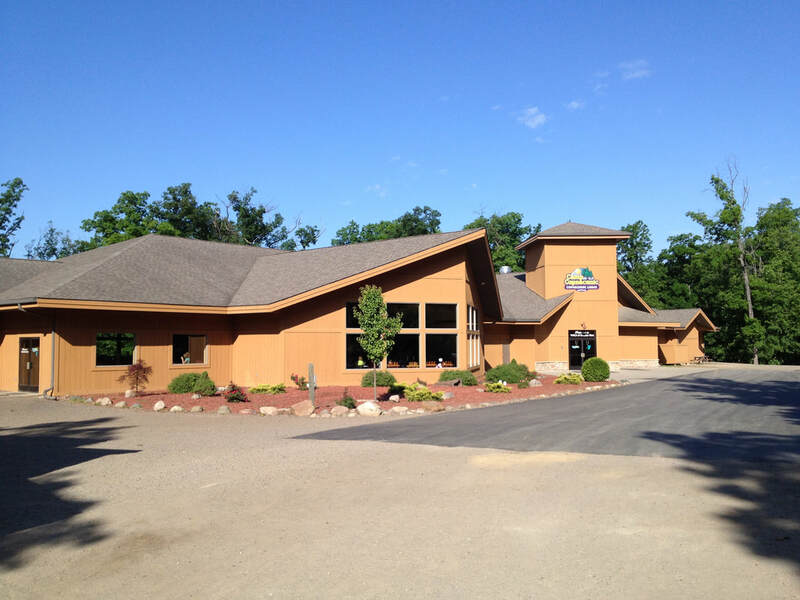 Centrally located, the lodges provide easy access to main camp, dining facilities, and interest session locations. Immerse yourself in a historic camp structure at Allen Lodge. The Allen Lodge building is an exceptional display of historic camp architecture. 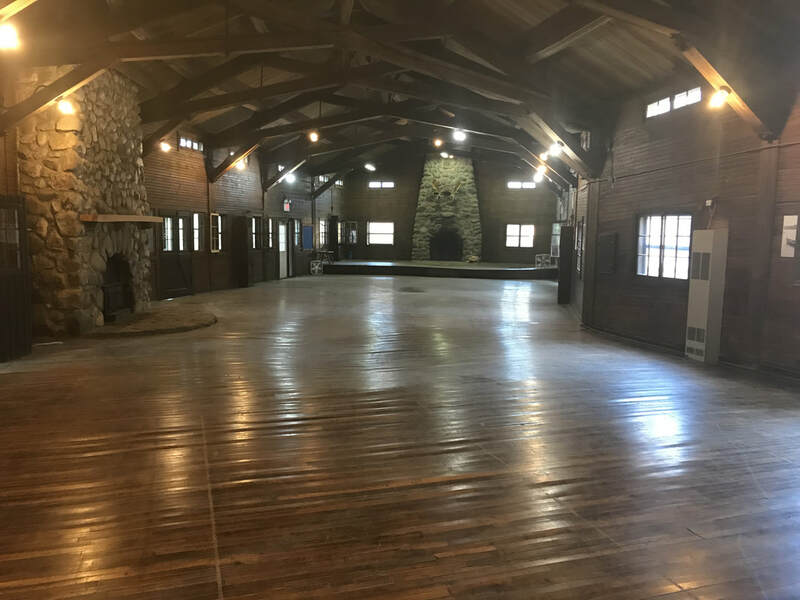 This multi-purpose building was built in the 1930's as Camp Copneconic's original dining hall and features a rustic and historic atmosphere that cannot be beat. The main room of the building provides seating for up to 200 people. The Allen Lodge is a wonderful meeting center, but there are multiple other areas to gather groups. The spacious lower level of Copneconic Lodge can also accommodate up to 200 guests. Smaller groups (25-40 guests) will enjoy the cozy atmosphere of Seminole, Ottawa, Wyandotte and Choctaw (which were all renovated in 2017), Chiefs Lodge and Largent Lodge. Copneconic Lodge will suit your every need. Resting in the main area of camp, Copneconic Lodge is a fantastic facility to eat and rest your feet. Built in 2001, this dining area seats as many as 440 guests at a time. The contemporary set-up makes this space multi-functional for dining, meetings, activities, and speakers. Copneconic Lodge features a show-stopping stage area, perfect for featuring a keynote address or mealtime announcements. YMCA Camp Copneconic is well known for fabulous food services and accommodations for any dietary needs. Serving over 25,000 guests each year means they are well-equipped to handle any special diets! If you have any questions or concerns, you can contact the staff at 810.629.9622.